Dr. Young received an AB in Bacteriology, University of California, Berkeley, 1977; DDS from the University of California, San Francisco, 1981; an MBA from the University of the Pacific in 1999; MS in Oral Biology from the University of California, San Francisco in 2000, and an EdD from the University of the Pacific in 2010. He completed a General Practice Residency in 1982 at the VA Hospital in San Francisco. He practiced general dentistry for 15 years before becoming a full-time Professor at the University of the Pacific. 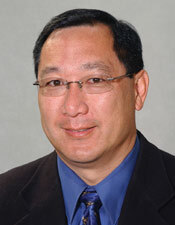 Dr. Young is a researcher and educator in the field of minimally invasive dentistry, dental materials, and cariology. He has lectured and published nationally and internationally.